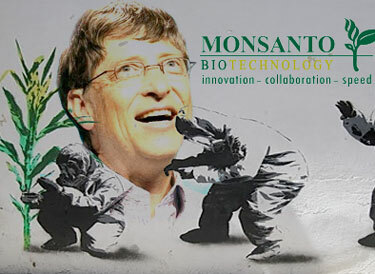 Bill Gates, the heavy Monsanto investor who purchased 500,000 shares of the biotech giant in 2010, has been touting Monsanto’s genetically modified creations as a tool that is necessary to prevent starvation in poor nations. The same poor nations where thousands of farmers routinely commit suicideafter being completely bankrupt by Monsanto’s overpriced and ineffective GM seeds. Thank you for surfing into this site! Genetically Modified Corn Kills Cows Syngenta Corporation is facing criminal charges for covering up previous livestock deaths from genetically modified (GM) corn. Bt176 is the name of the GM corn responsible for the deaths. The corporation is being charged with the willful cover-up of a company run study from 1996 that killed four cows just two days after consuming what has now been dubbed “Frankencorn.” In 2007 the company falsely testified in a civil court case that Bt176 corn was safe, which resulted in the dismissal of charges against the company. Syngenta Corp received government approval to run field trials on German farmer Gottfried Gloeckner’s property and livestock. Only after losing dozens of cattle and gaining mountains of debt did he discover the 1996 company cover-up. Since then another fabricated study has come to light involving sheep in an attempt to draw attention away from the former 1996 farce.